New Online Benefits Account and App! Effective February 1st, 2019 we are switching to the myManion Benefits Portal and Mobile App. 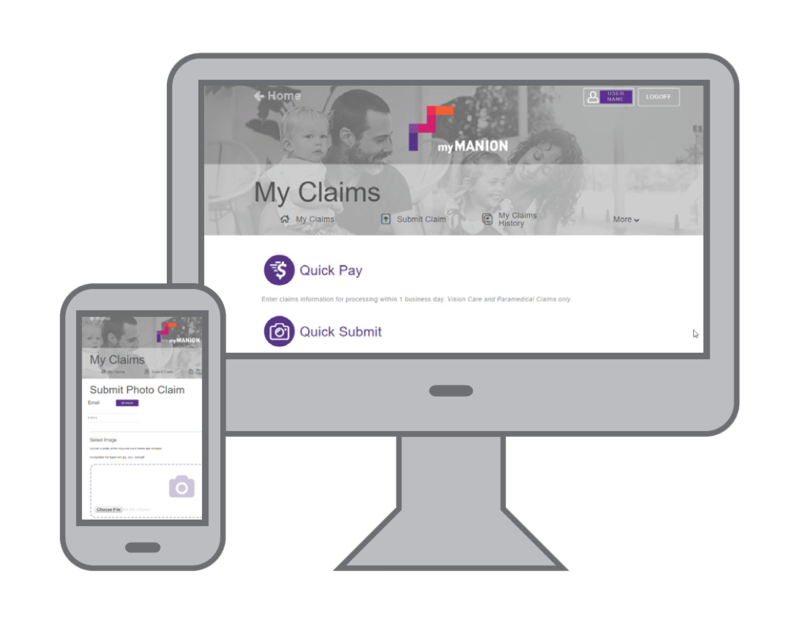 The exciting features of the myManion Benefits Portal include the mobile app for use with smart phones and tablets, convenient claim submission options (Quick Pay & Quick Submit), and a digital version of your benefit card available on the mobile app. Members in-benefit will be issued a new temporary password on February 1st, 2019 to use the new myManion benefits portal and mobile app. Your previous password will no longer be valid as of that date. The login details (user-id and password) will be provided via email on February 1, 2019. If you do not have an email address on file, it will be sent by regular mail. We encourage you to contact the Union office to provide your email address for future notifications. For those currently out-of-benefit, your login details will be provided when your coverage reinstates. Quick Submit Feature – Upload a photo of your health or vision receipt, or your completed standard dental claim form to the portal or mobile app to submit the claim. Currently, myManion only accepts one picture per submission. You will need to submit each receipt/dental claim form separately, however there is no limit to the number of claim submissions. Quick Pay Feature – Manually enter the information for your vision care and paramedical claims. Paramedical services include physiotherapy, massage therapy, chiropractor, acupuncturist, clinical psychologist, and podiatry. There is a $500 daily claim submission maximum. Your claim will be processed in 1 business day. For more information on your vision care and paramedical coverage, please refer to your benefits booklet that is available on the myManion benefit portal and mobile app. Direct Deposit is mandatory for claim payments. Please ensure your banking details are current by checking your profile on your myManion account. Vision care claims are not able to be paid directly to the vision care provider using the Telus Health e-Claims network. You will need to pay the vision care provider for your glasses and/or eye exams. If the vision care provider is using the Telus Health e-Claims network, they may electronically submit the claim to the plan for reimbursement to you. Otherwise, please submit your vision care receipts using one of the other claim submission options. The scanned claim must include the claim form and receipts. A photograph is not acceptable with this option. Submit claims and check your coverage with your all-in-one benefits portal. Visit www.mymanion.com or download the mobile app to get started. Once you receive your username and password by mail or e-mail, sign in from your computer using www.mymanion.com or download the free myManion app from Google Play or Apple’s App store. *Please ensure that your device and/or browser is up to date. You’re in! View your coverage details, submit claims, update your contact & banking information and much more. If you have not received your username or password, please contact the Benefits Office. Have Health Practitioners Submit Claims On Your Behalf with Pay Direct Health Services. Health practitioners on the TELUS eClaim network can electronically submit claims directly from your benefit plan. You’re out-of-pocket only for what your benefit plan doesn’t cover for approved claims. 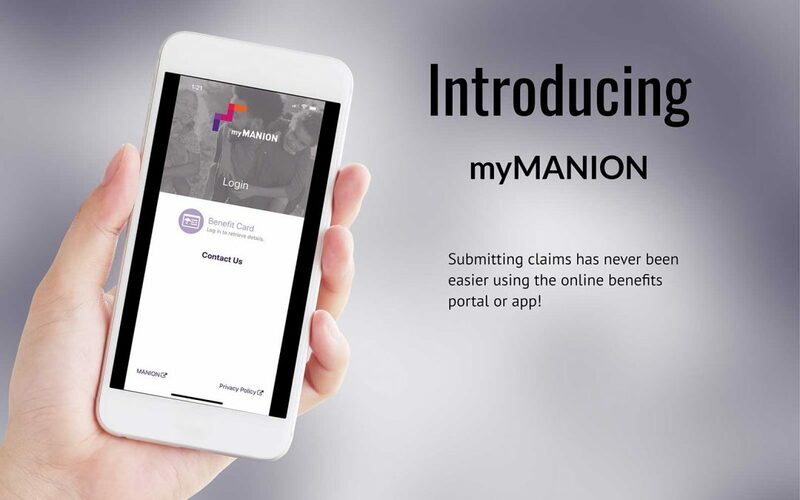 Simply show the digital benefit card on your myManion app to your health services practitioner for eligible services (refer to your benefits booklet on myManion for eligible services). Submitting any type of claim through Quick Submit is the easiest way to send in your claims and receipts on-the-go. With Quick Submit, making a claim is as quick as taking a photo. Simply upload a document or photo of your receipt, select the benefit category, and click submit! Submitting claims through Quick Pay is the quickest* way to get paid when submitting your vision and paramedical claims. In this option, you enter all the details of your claim and click submit! Receipts are not required for this method of claim submission, unless the claim has been selected for a random audit. *Submitting claims through Quick Pay is the quickest way to get paid when submitting your vision and paramedical claims, if your provider is not a subscriber to the Telus eClaims platform. Quick Pay and Quick Submit can both be accessed from your desktop or mobile app. Click below to download the PDF version of this newsletter.